FPMT is blessed with a treasure trove of Geshes who serve around the world at the invitation of Spiritual Director Lama Zopa Rinpoche. Manda/a has chosen to profile two Geshes from the FPMT ranks at different ends of a remarkable continuum: Geshe lampa Gyatso, a dear friend of FPMT founder Lama Yeshe, who is still going strong at age 75 at Istituto Lama Tzong Khapa in Pomaia, Italy; and the young Geshe Thubten Sherab, seven years post degree, who serves as the headmaster of Kopan Monastery in Kathmandu, Nepal. 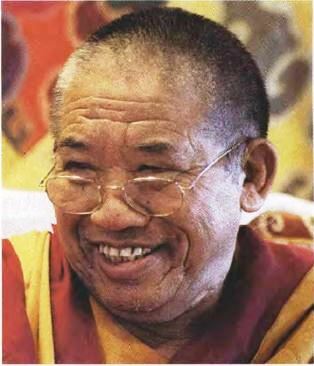 Geshe Jampa Gyatso was born in north-central Tibet in early 1932, the first of seven children of a nomadic family. He was ordained as a boy, but remained with his family. 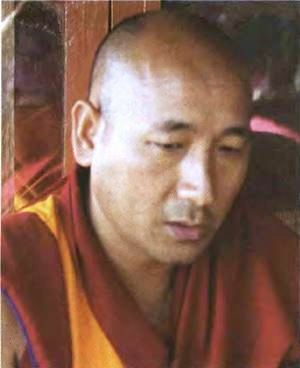 It was not until the age of thirteen that he left home to study at Sera Je Monastery. At Sera, Geshe-la made the fortuitous acquaintance of a young monk named Lama Thubten Yeshe. They would become close, life-long friends. In particular, they were both avid debaters, forming debating groups from amongst their friends in order to practice as much as possible. Sometimes, Geshe-la would sneak away to Lama Yeshe’s room where the two future masters would read about the great yogis and saints of the past.